The reunion was Friday, June 4th, and Saturday, June 5th. On Friday, my wife Joyce and I took about 20 photos. On Saturday, I realized I should have recharged my battery -- only got a few shots Saturday. I saw others flashing their bulbs around the room, though, so maybe I'll get some of their photos later. Below, I've included a few of mine. NOTE that the room was somewhat dark, so I've omitted some of the photos that aren't as clear as I'd like. Also, I've tried to avoid including any photos that make anyone look especially old or fat. That only left a few ... hahahaha. I've put names on a few with ?? for names I don't know -- If you see a ?? where your name should be, don't be offended, email me and I'll fill it in! CLICK ANY PICTURE TO SEE A LARGER VERSION OF IT. To see all 22 photos, CLICK HERE. To see Dart's photos, CLICK HERE. Photo RH09 - That's Shirley Gilmer Moore with her back to us, then Bette Ann Barrett on her right, and ?? Photo RH10 - Front is Betty Rowell Lee, to her right are Bitsy Hay Rogers, Dede Keyes Matthews (hidden), Sue Clements Smith, and ?? I wanted to try to set it up so you could see this list at the same time as you look at the pictures on Shutterfly.com. This is the best I could do. 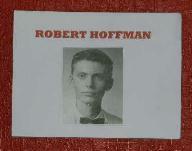 The pictures will open in a new window when you click http://Hoffman45.shutterfly.com/. It's up to you to resize windows to view both this list and the photos at the same time. RH09 - Shirley Gilmer Moore, Bette Ann Barrett, and ?? RH10 - Front is Betty Rowell Lee, to her right are Bitsy Hay Rogers, Dede Keyes Matthews (hidden), Sue Clements Smith, and ?? RH20 - ? ?, Alex Calder, ? ?, Frank Andrews, ? ?